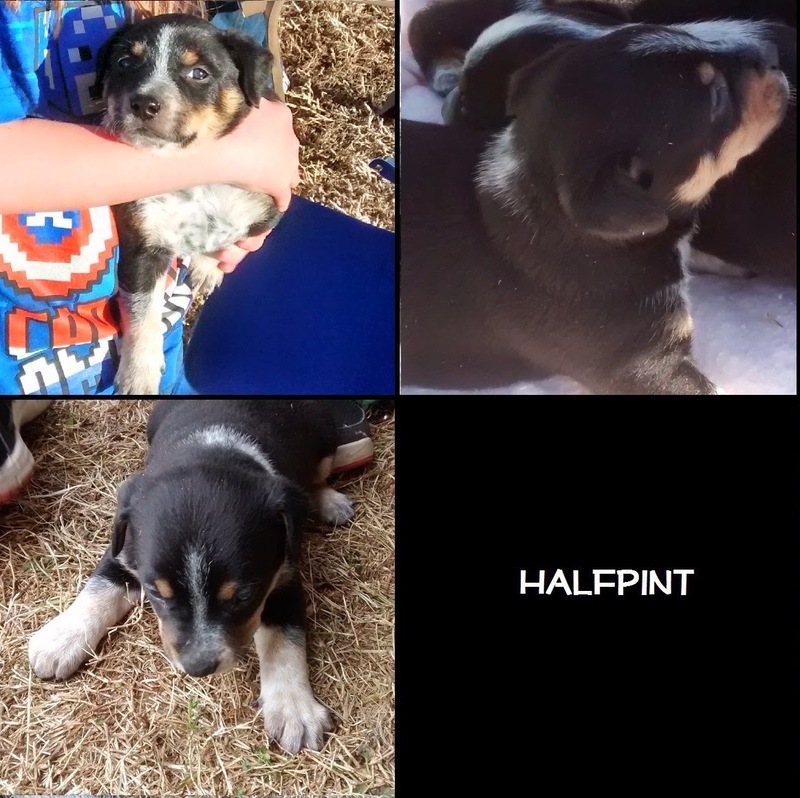 Google The Unplanned Homeschooler: Puppy update - 4 1/2 weeks and 5 pounds! 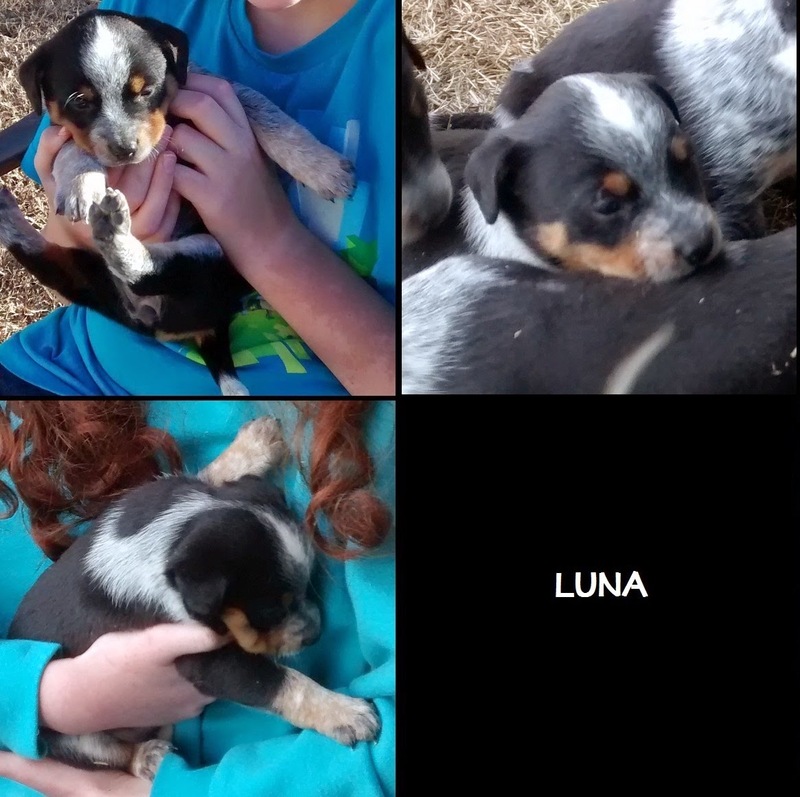 The smallest puppy of the bunch is little Luna. She seemed to be at least a couple of days behind all the others developmentally, until earlier this week when she took a great leap forward. Now she's just as active as the others and holding her own against some of her bigger siblings. Named for the crescent moon shape in her scruff, Luna has a glow all her own. We had Luna named from the start, so Stella just kind of seemed like a good fit for her only sister. 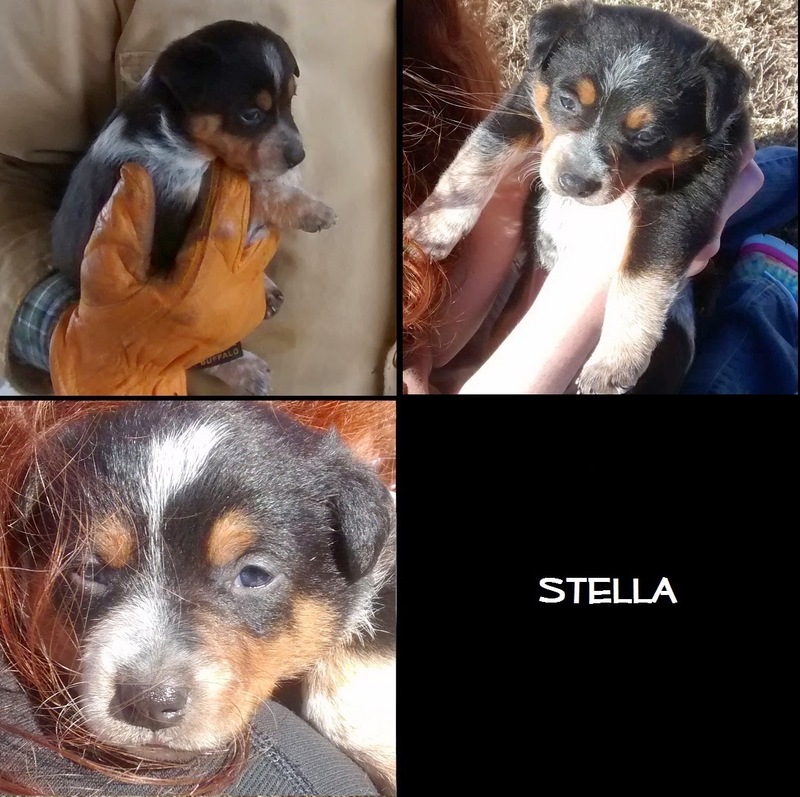 Stella is easily the most advanced and independent puppy in the litter, always curious and looking for adventure. She's a superstar. With a name like Halfpint, you might think this little guy was the runt, but he was actually named for the fact that his white scruff only goes halfway around. Halfpint knows exactly what he wants and he's not afraid to go for it, which will be a lot safer when he gets a basic understanding of gravity. He sure is a cutie, though! What happens when you let a seven-year-old comic book enthusiast with an affection for super villains name her favorite puppy? 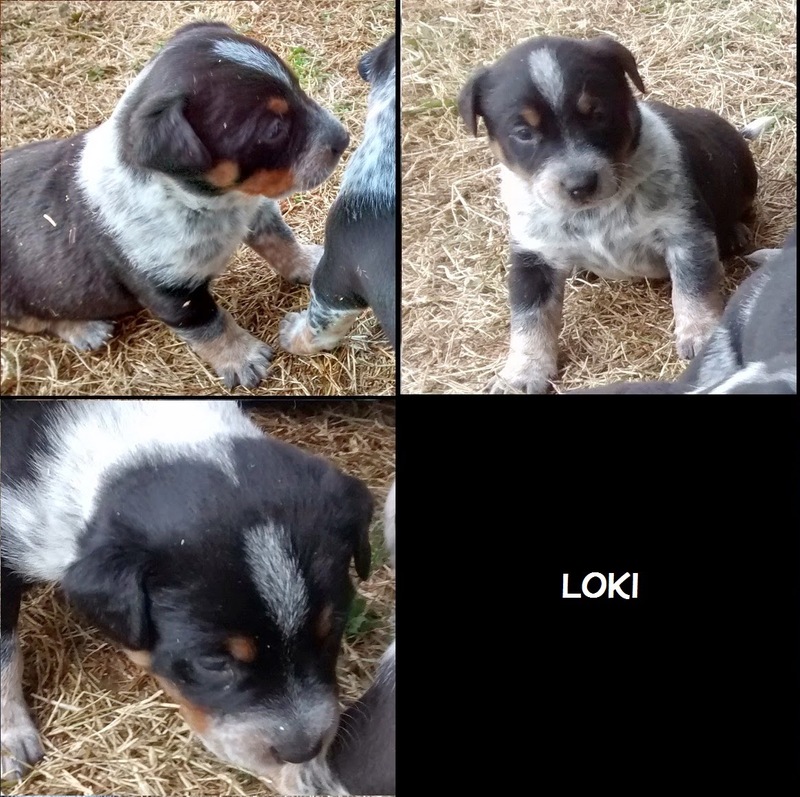 Yes, you get Loki, named for the Norse god of mischief. In reality, Loki isn't nearly the most mischievous pup. He's actually very sweet. Okay, we actually started out calling this gorgeous little blue-eyed boy Whitey, because he was the only one with a white face. Then, as his speckles grew in, we started calling him Ornery, because he was just an ornery pup. He was the first to growl, the first to bark, and more fearless than the others. As he mellowed, or perhaps as the rest of his litter mates came into their own, he seemed less ornery, so his name morphed to Henri. 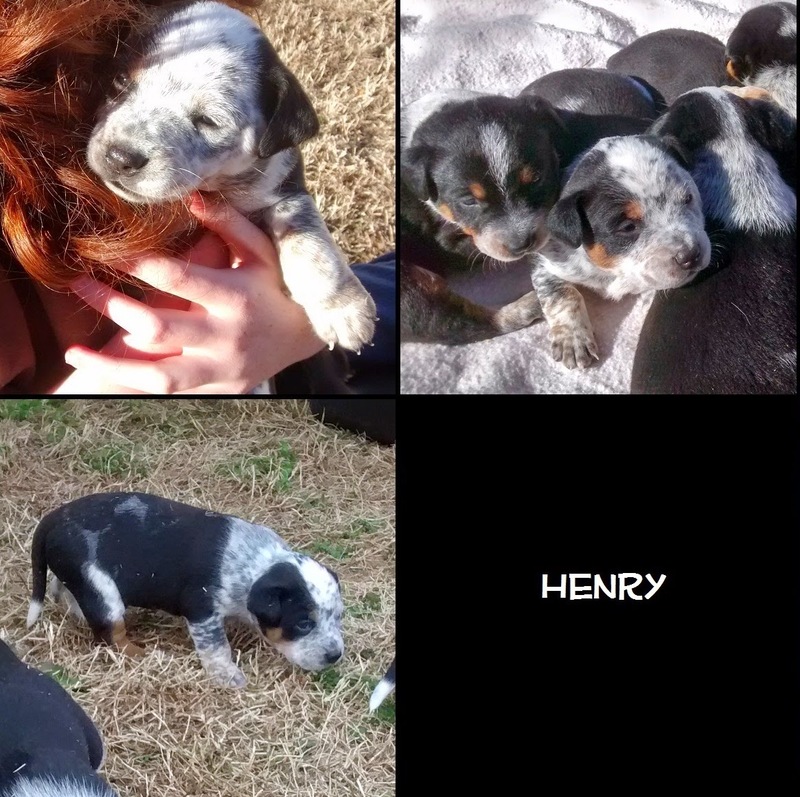 But Henri doesn't sound much like a rough and tumble Oklahoma cattle dog, so Henry it is. The biggest puppy in the litter came by his name naturally. 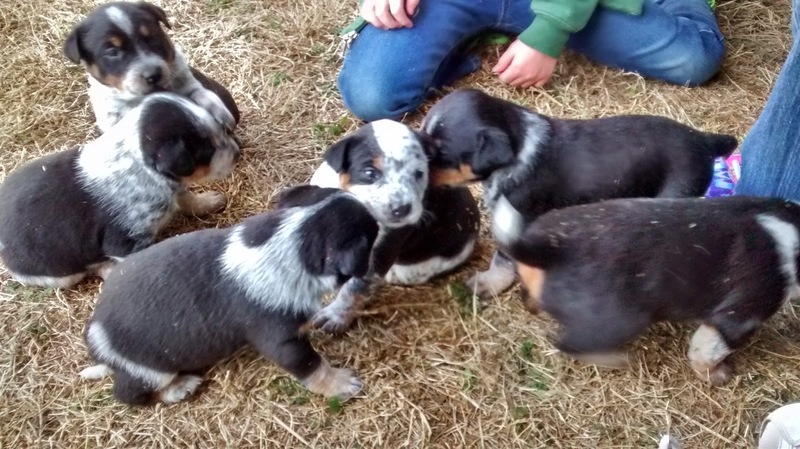 By the time they were three weeks old, he was roughly the shape of a bowling pin. He was half a pound bigger than all his siblings, with the roundest, most adorable belly. 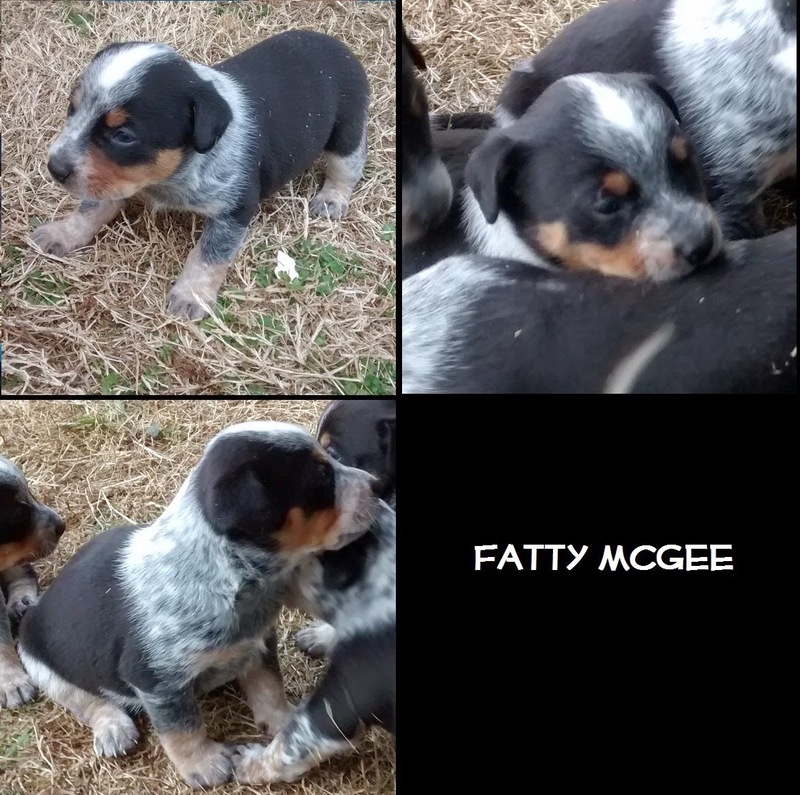 When I picked him up and said, "Hey, Fatty McGee!" the kids cracked up, and the name just stuck. He doesn't mind, though. He just wants some love. So, that's all six of them. We've had so much fun learning about animal behavior and development as we've watched Blue raise her puppies so far. I hope you're enjoying reading about it, too.